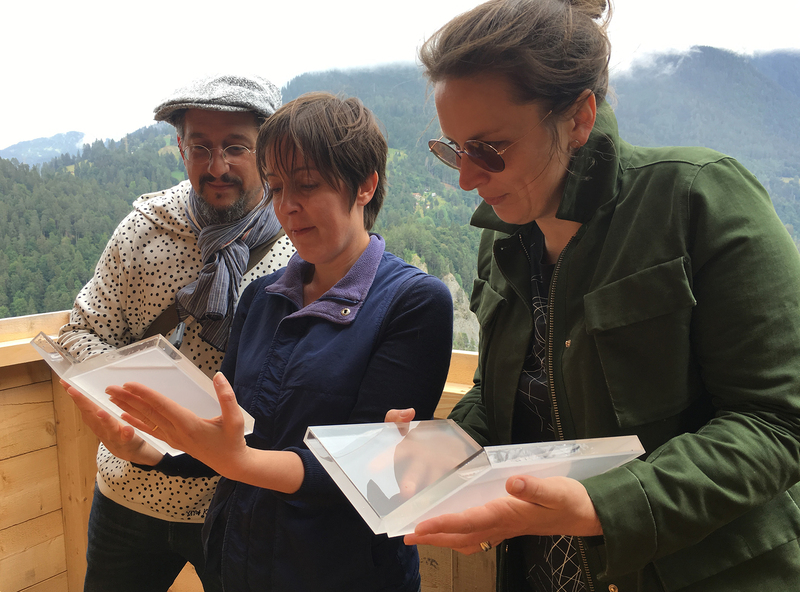 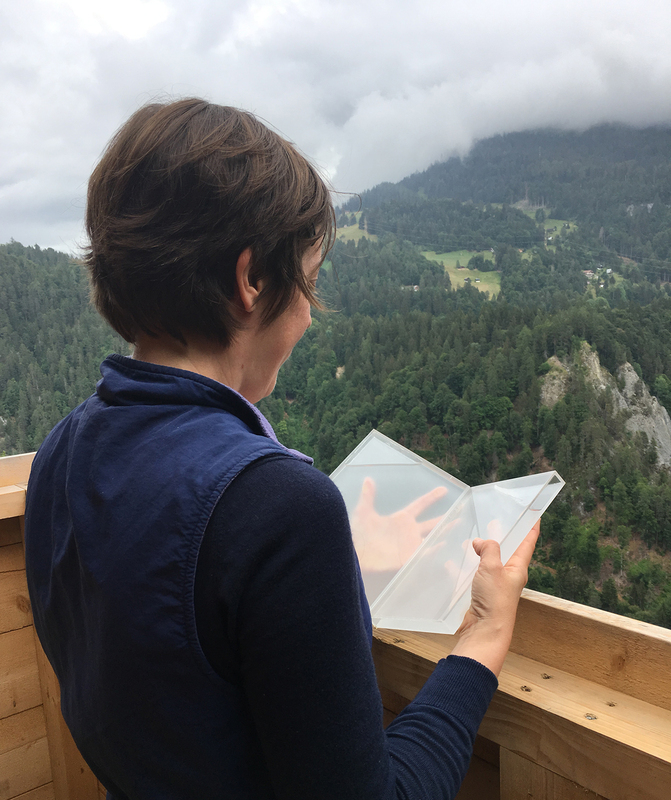 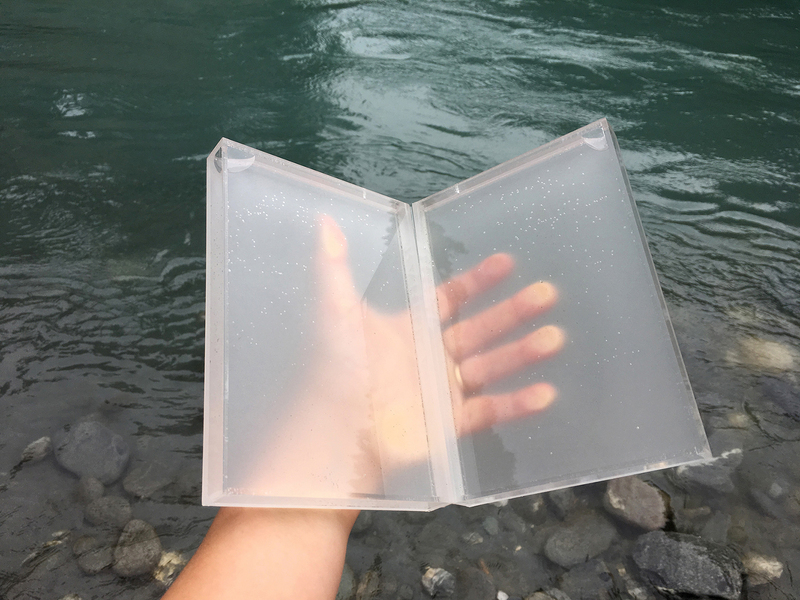 WATER BOOKS (Alps Art Academy, June 28- July 8, 2018, Tenna, Switzerland.) 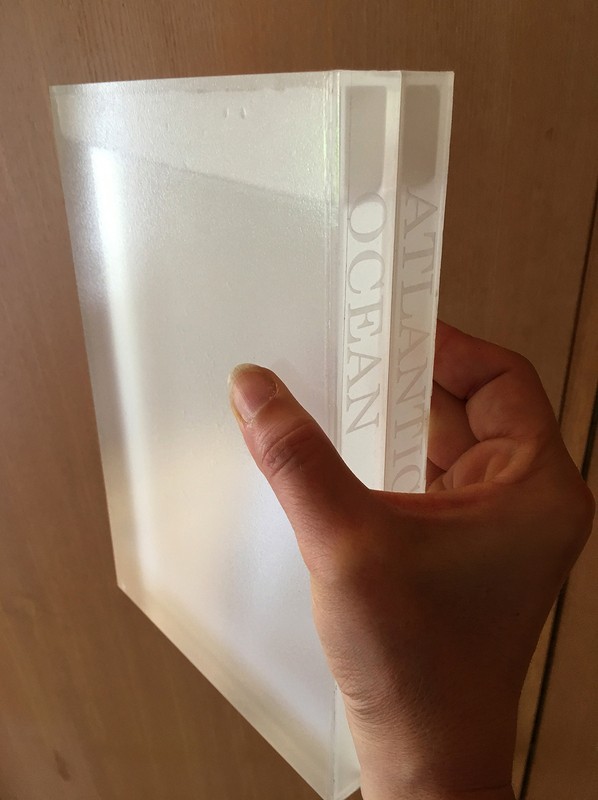 Acrylic and Collected Water. 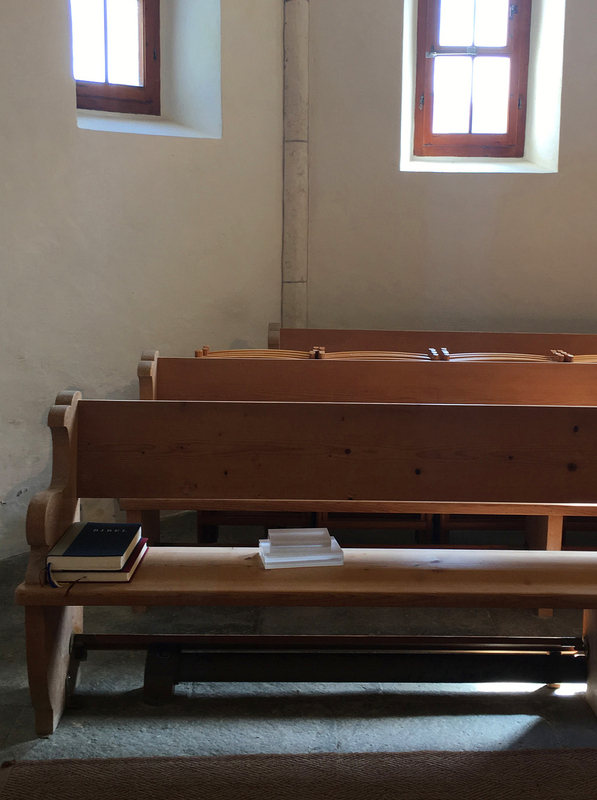 This temporary installation links three locations—Tenna’s Church, the local river (Rabiusa), and the sea (Atlantic Ocean). 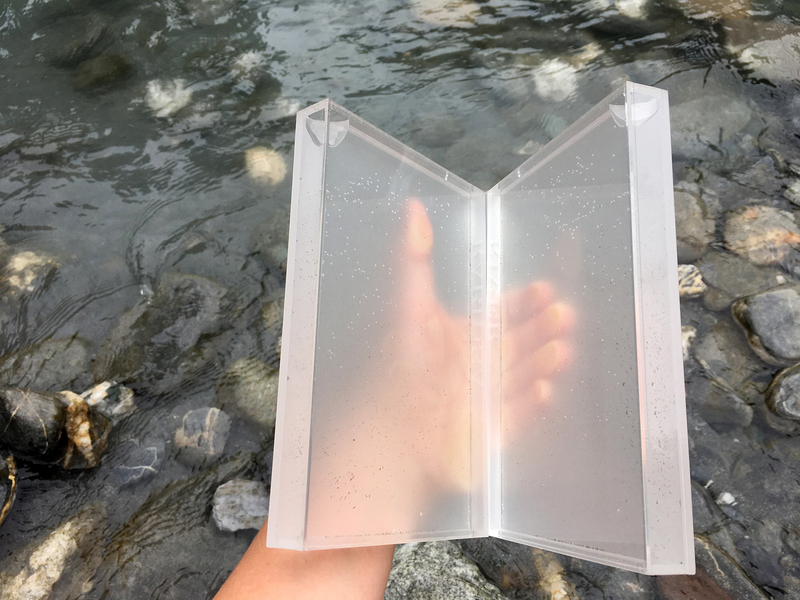 These books are part of a water library I’m developing, and they are meant to be held and opened. 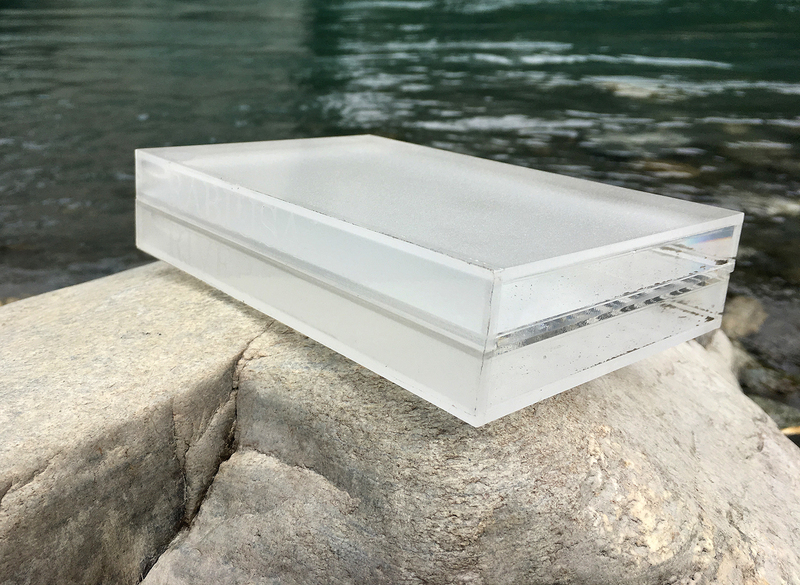 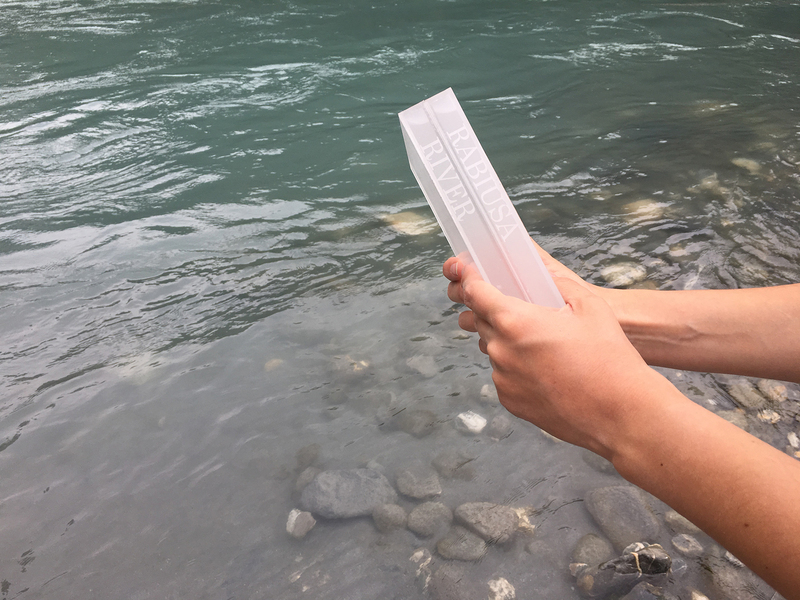 While in residence in the small alpine village of Tenna, I made one book of the local river, and one of the river’s final destination. 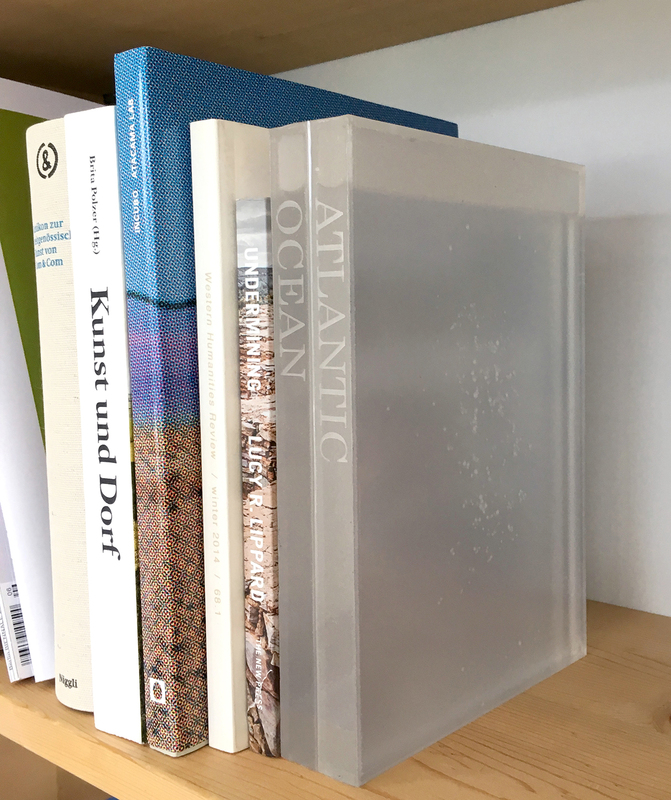 With these objects I’m interested in thinking about global water circulation, the meaning of place, the emotional connections we develop with particular bodies of water, and the knowledge & poetry embedded in material, as opposed to text. 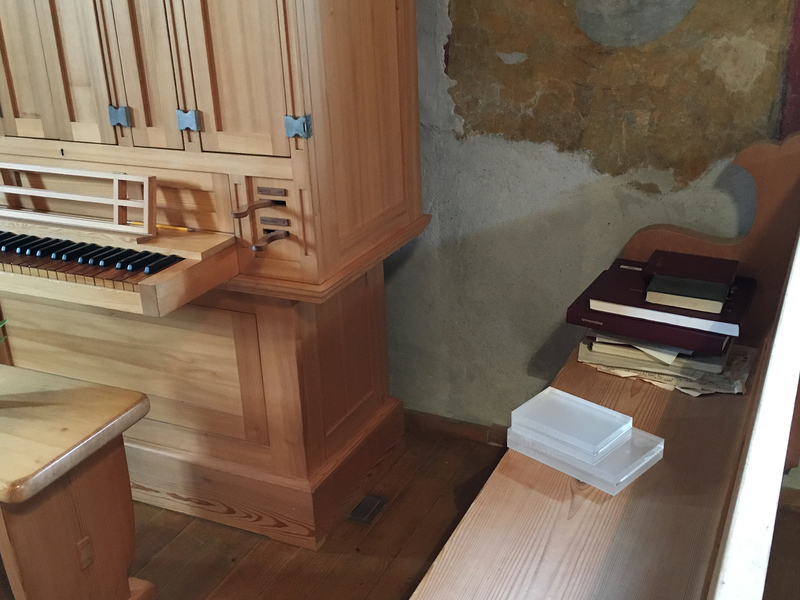 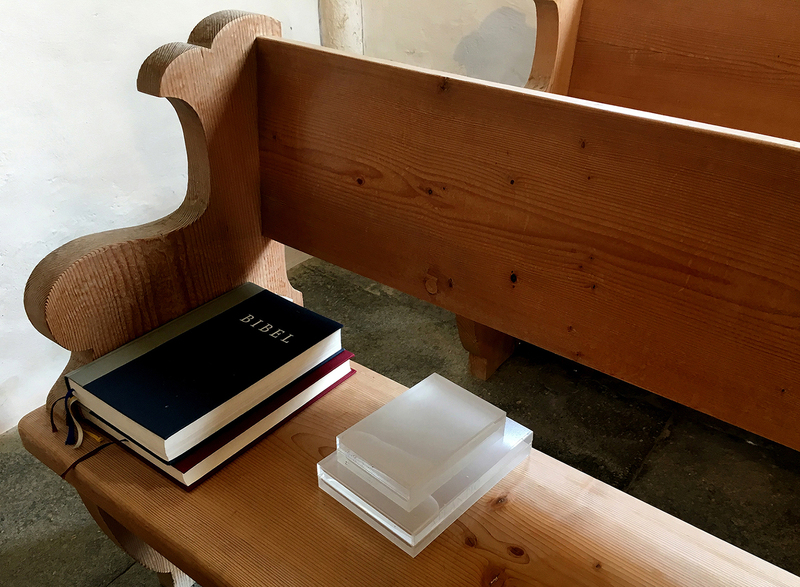 The water books remained in the church for three days, including a Sunday mass and the vernissage opening of Art Safiental.